The fake news about fake news is practically endless. Americans worried about Russia’s influence in the 2016 election have seized on a handful of Facebook ads—as though there weren’t also three 90-minute debates, two televised party conventions, and $2.4 billion spent on last year’s campaign. The danger is that bending facts to fit the Russia story line may nudge Washington into needlessly and recklessly regulating the internet and curtailing basic freedoms. After an extensive review, Facebook has identified $100,000 of ads that came from accounts associated with Russia. Assume for the sake of argument that Vladimir Putin personally authorized this expenditure. Given its divisive nature, the campaign could be dubbed “From Russia, With Hate”—except it would make for a disappointing James Bond movie. Analyzing the pattern of expenditures, and doing some back-of-the-envelope math, it’s clear this was no devilishly effective plot. Facebook says 56% of the ads ran after the election, reducing the tally that could have influenced the result to about $44,000. It also turns out the ads were not confined to swing states but also shown in places like New York, California and Texas. Supposing half the ads went to swing states brings the total down to $22,000. Facebook also counted ads as early as June 2015. Assuming they were evenly spread and we want only those that ran the year of the election, that knocks it down to $13,000. Most of the ads did not solicit support for a candidate and carried messages on issues like racism, immigration and guns. The actual electioneering then amounts to about $6,500. Now look at the bigger picture. Every day, Americans see hundreds of ads on TV and radio, in newspapers and magazines, on billboards and smartphones. North Americans post to Facebook something like a billion times a day, and during the election many of those messages were about politics. Facebook typically runs about $40 million worth of advertising a day in North America. Then consider the scale of American presidential elections. Hillary Clinton’s total campaign budget, including associated committees, was $1.4 billion. Mr. Trump and his allies had about $1 billion. Even a full $100,000 of Russian ads would have erased just 0.025% of Hillary’s financial advantage. In the last week of the campaign alone, Mrs. Clinton’s super PAC dumped $6 million in ads into Florida, Pennsylvania and Wisconsin. I have 40 years of experience in politics, and this Russian ad buy, mostly after the election anyway, simply does not add up to a carefully targeted campaign to move voters. It takes tens of millions of dollars to deliver meaningful messages to the contested portion of the electorate. Converting someone who voted for the other party last time is an enormously difficult task. Swing voters in states like Ohio or Florida are typically barraged with 50% or more of a campaign’s budget. Try watching TV in those states the week before an election and you will see how jammed the airwaves are. 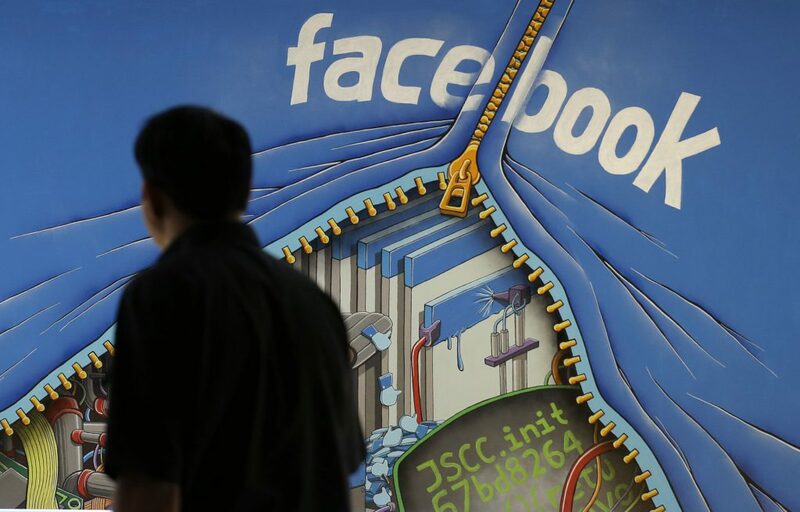 those with knowledge of Facebook’s ad system say that there’s a solid case to be made that the disclosed Russian ad spend — and even the reported millions of impressions those ads received — pales in comparison to the billions spent by political groups in the run-up to 2016 on Facebook’s ad platform and the hundreds of millions of impressions that the platform delivers daily on all types of paid and unpaid content. Basically: Facebook’s unprecedented scale, when applied to the Russian ads, renders the scandal’s impact far less consequential than news reports would suggest. Facebook, too, has long been concerned about assuming any sort of media watchdog role and the company’s objection usually takes the form — as it did last week in an interview with Facebook COO Sheryl Sandberg — of its well-worn argument that Facebook is a technology company, not a media company. “We hire engineers. We don’t hire reporters. No one is a journalist. We don’t cover the news,” Sandberg told Axios’s Mike Allen. Freedom can be messy, including people spreading fake news, and even people from Russia posting on the internet. The alternative to freedom is far worse, including the restrictions on expression by Americans on Facebook which we are already experiencing.